I always wondered why Ft Lauderdale offers Spa Chic in August and then its Spa Month in Miami every September but Palm Beach never did the same. So this year I was thrilled to see that us Spa Lovers now can take advantage of that same opportunity. 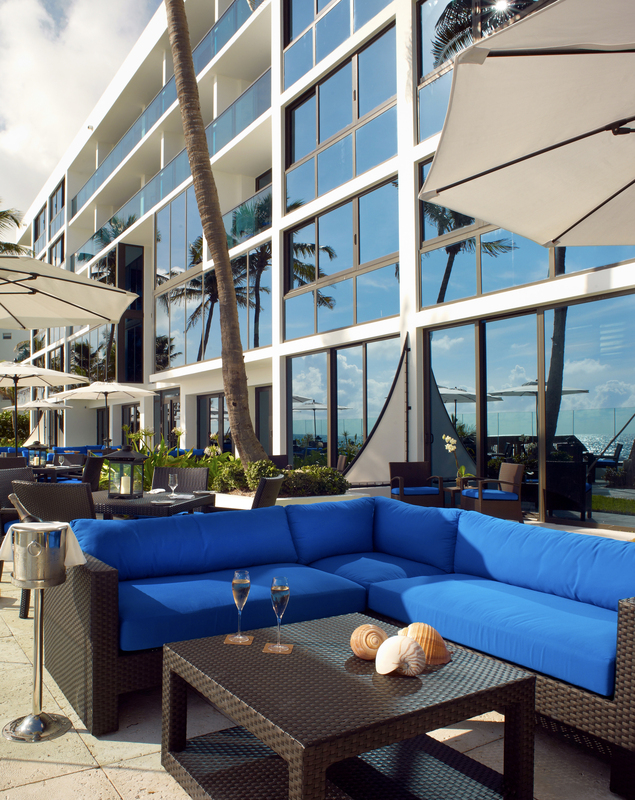 For the first time ever, Palm Beach County proudly announced “Indulge Palm Beach”. $99 spa services can be enjoyed at the finest luxurious spas of the Palm Beaches for the entire month of September. 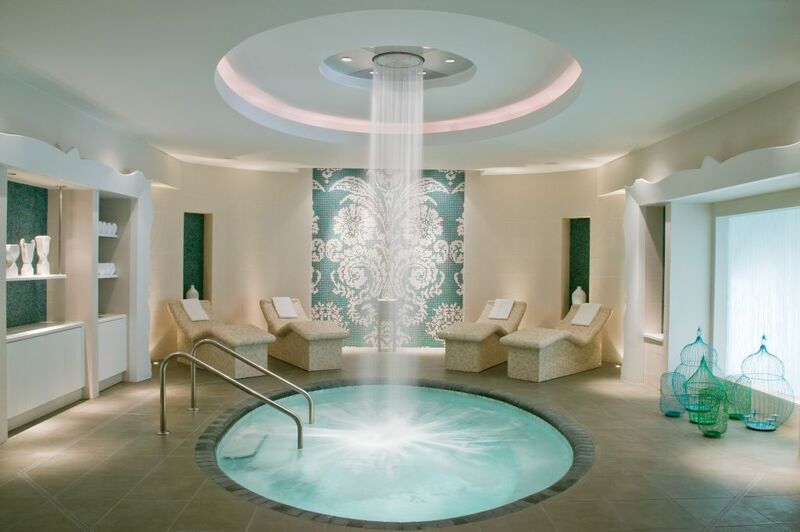 Indulge Palm Beach allows a working girl like me to try a resort spa that I have always wanted to visit but could not afford the chance to spend a whole day of pampering for an affordable splurge! Keep in mind gratuities are additional and are automatically added at checkout. These $99 offers are only valid through September 30, 2013 so don’t delay, there is still time to take advantage. Come season usually about October/November deals like these simply won’t happen. 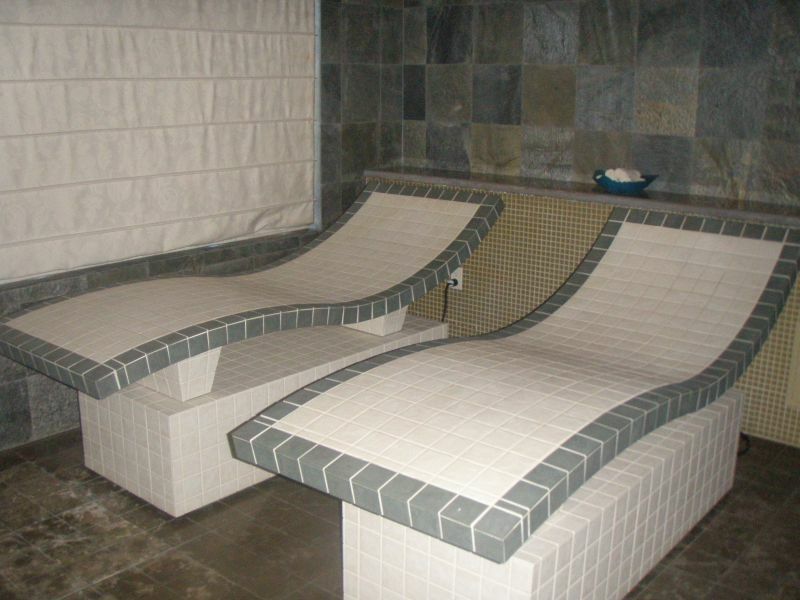 SiSpa: Choose from two different options for $99 then spend the day at the private whirlpool, heated tile loungers, private relaxation lounge and two outdoor pools. Eau Spa: Choose from two different 60 minute options for $99 then enjoy sauna, steam room, bath lounge and relax in the garden sanctuary equipped with swinging chairs and heated waterfalls. 1) Crown Jewels – Heavy are the head, neck and feet that wear the crown. This majestic experience includes a soothing foot scrub and paraffin wrap followed by a head, neck, shoulder and foot massage. 2) Perfect Form – An all-inclusive answer to the summer swimsuit S.O.S.LipoSolution remodels lumps and bumps into sleek curves and smooth contours with a full-body exfoliation, wrap, and concentrated massage. Jupiter Beach Resort and Spa: Regularly $140, receive a Hydro Peptide C Sea Brightening Facial (50 minutes) for the special price of $99. This facial will even out, lighten and brighten many types of skin discoloration including age spots, sun damage, acne scars and pregnancy mask. This brightening treatment will help to address pigmentation concerns without the use of harsh chemicals by combining proven natural skin brighteners with gentle exfoliation. A potent dose of antioxidants helps to protect the skin while a targeted treatment serum jump starts a more even complexion. 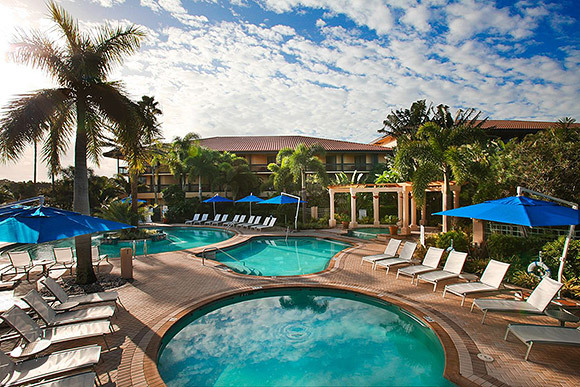 Before or after relax on a lounger at the pool or sip on a heavenly cup of drinkable chocolate. Lunch on the patio with a beach view cannot be more peaceful at the Omphoy. The Omphoy Babor Beauty Spa: Choose between two different $99 Package Summer Splash Packages. 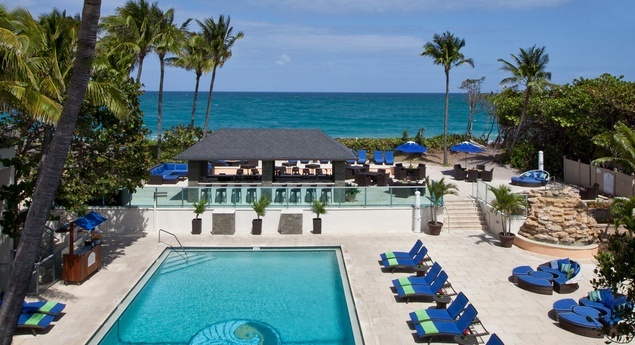 Walk on the beach, enjoy lunch on the patio with a view or take a dip in the resort pool. A 20% service charge will be added based on the list price. 1) The Massage Chic package includes a 50 minute Swedish Massage, along with either a MOROCCANOIL Scalp Treatment or Classic Manicure. 2) The Facial Chic package includes a 50 minute Deep Cleansing Facial, along with either a MOROCCANOIL Scalp Treatment or Classic Manicure.